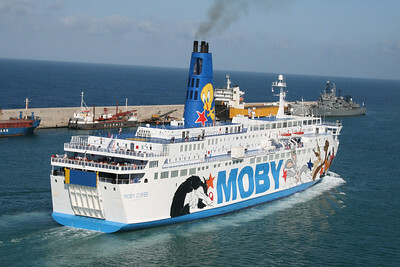 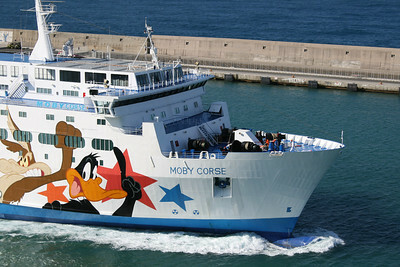 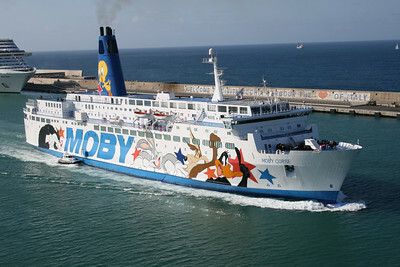 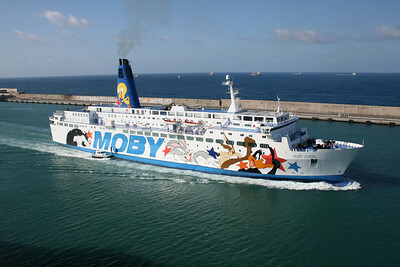 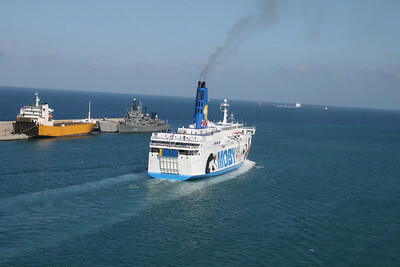 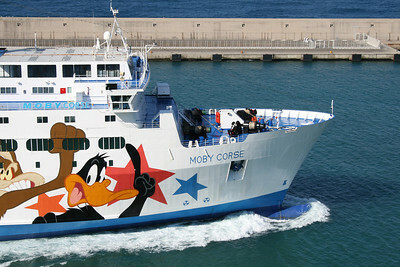 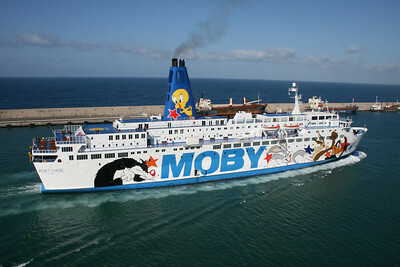 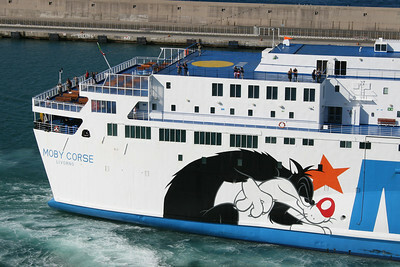 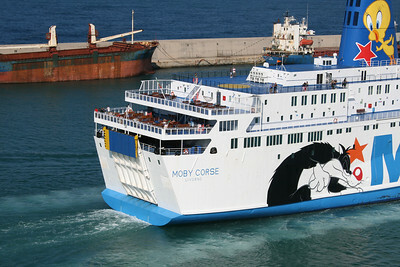 2011 - MOBY CORSE departing from Civitavecchia to Olbia. 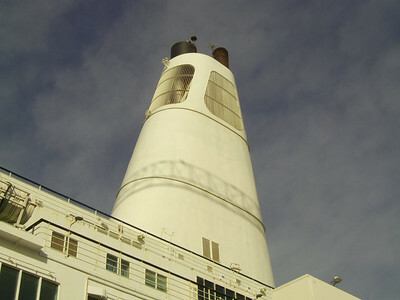 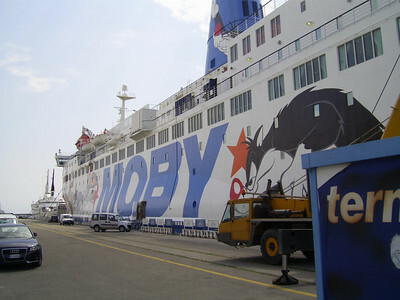 2011 - MOBY CORSE departing from Civitavecchia to Olbia : the funnel. 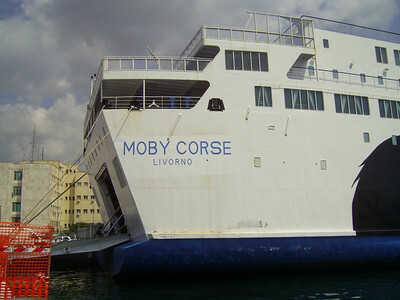 2010 - F/B MOBY CORSE docked in Napoli : last works before the new season. 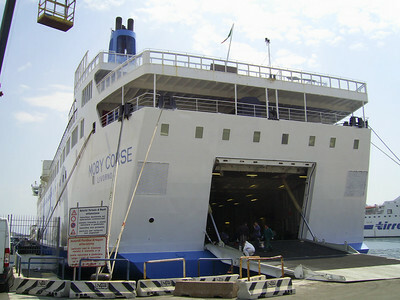 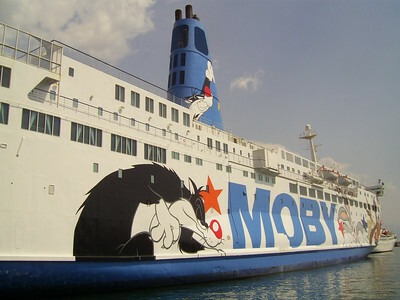 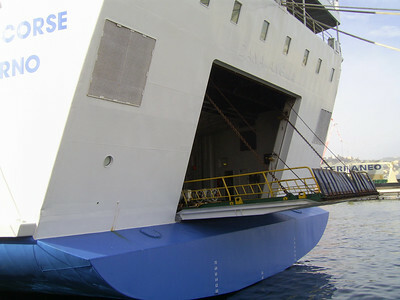 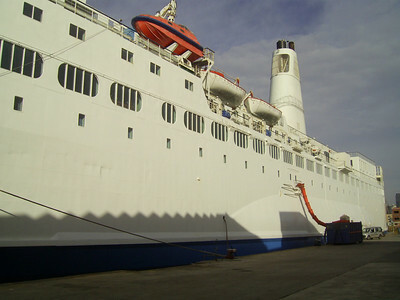 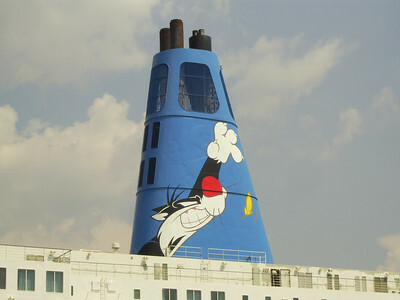 2010 - F/B MOBY CORSE docked in Napoli : the funnel's new design. 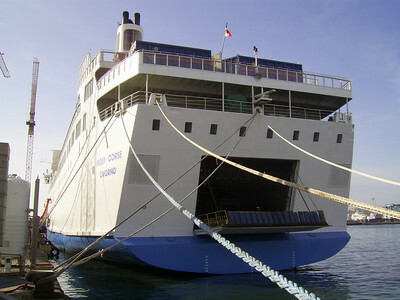 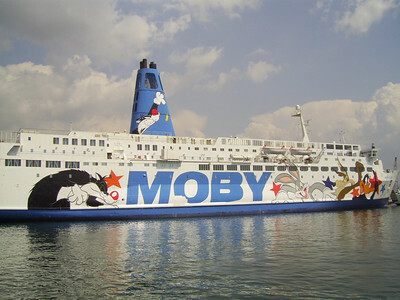 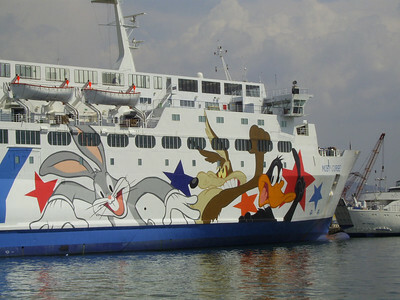 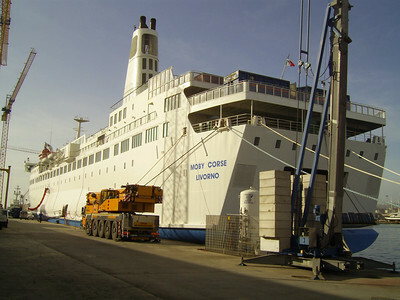 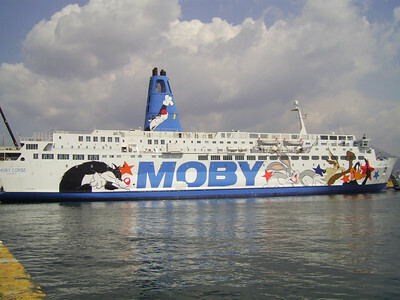 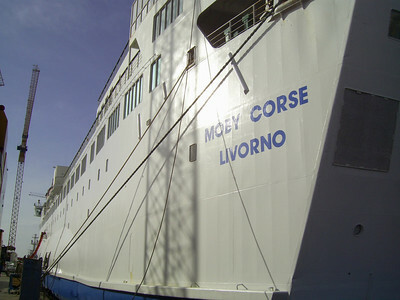 2009 - F/B MOBY CORSE docked in Napoli waiting the new livery. 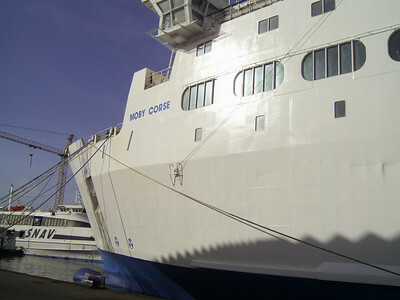 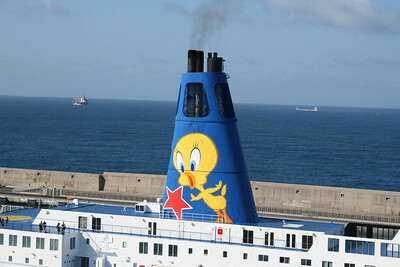 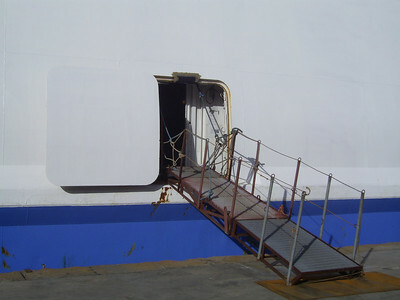 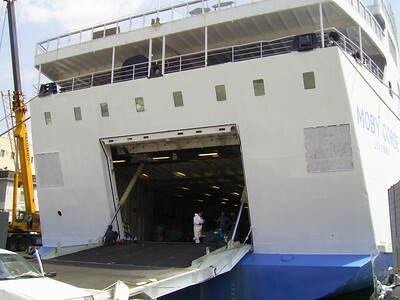 2009 - F/B MOBY CORSE docked in Napoli waiting the new livery : pilot's porthole. 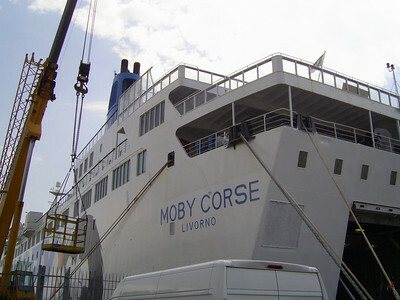 2009 - F/B MOBY CORSE docked in Napoli waiting the new livery : the funnel.